I am trying to nail down it's actual identity, the combination of shrouded headlight and non-bathtub rear etc. 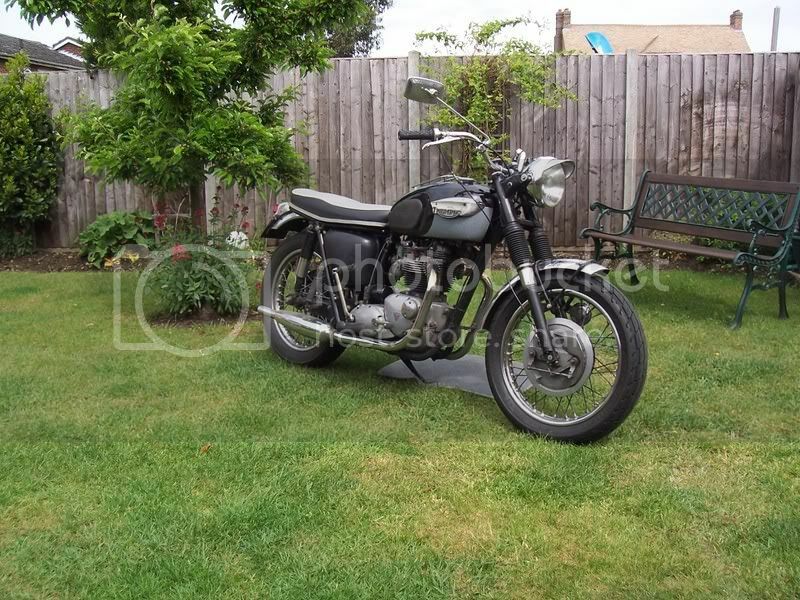 appears on a 1966 Triumph brochure as a 350cc so I might have a converted 350cc ?. The Tiger100 badge on the battery cover would suggest not but who knows if a past owner did a conversion including badges. It is a "D" registered bike (Feb 1966 on the V55) if that is any help, in my usual bike buying trance I did not think to record the Eng/Frame numbers but I'll get them when I pick the bike up. 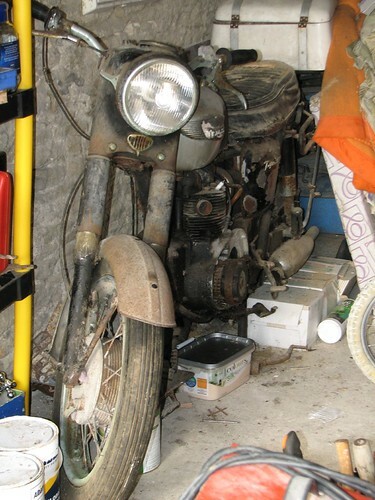 The last time I worked on a Triumph was 34 years ago when I vowed it would be the last time I worked on a Triumph (T150), so I hope I can count on the collective wisdom, or inspiring piss-taking of the forum in the comming (many) months of the restoratiion. Last edited by Zunspec on Tue Apr 06, 2010 6:48 pm, edited 1 time in total. This will let you confirm the year/model. As Dam says the model number will be stamped on the crankcase as part of the engine number. Just for reference I highly recommend Wilemans Motors, Siddals Rd, Derby for Triumph parts and service. I'm now pretty sure it is a 500 Speed Twin of 1966 vintage, why the Battery cover has a "Tiger 100" badge is currently not known. I'm going to pay for it tomorrow so I will have the V55 and old green log book, I'll check what the Eng./Frame No.s indicate. Looks like a great project the zunspec, good luck! Your T-bird looks a treat, seems there are various options I could go for and even convert it to Tiger 100 spec. I do like the look as standard though after finding those photos of one on the web. I don't have any issues with the chassis restoration as most seems sound. The engine is a another matter it will obviously need a complete strip an re-build, hopefully without too many horrors. It might take a bit of time but I think it will be worth it. That is a nice bike, Triumph really did produce some fine looking machines.